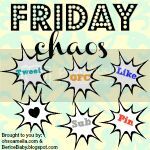 Pointing Up: It's Chaos Up In Here! 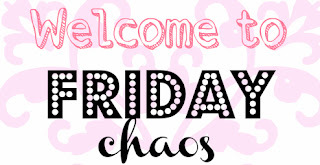 It's Chaos Up In Here! 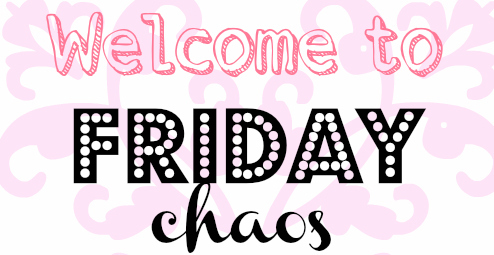 It's week 11 of the FRIDAY CHAOS Blog Hop! 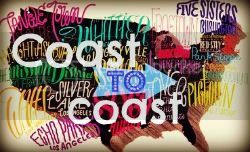 Each week it is growing and last week over 180 bloggers linked up! Lets see if we can grow the hop this week. Be sure the check all the co-host's out, follow via GFC and leave a comment! Looks like there was a lot of cool collaboration w/your giveaway! Thanks for co-hosting! I'm your newest GFC follower. I'd love it if you stopped by my blog. 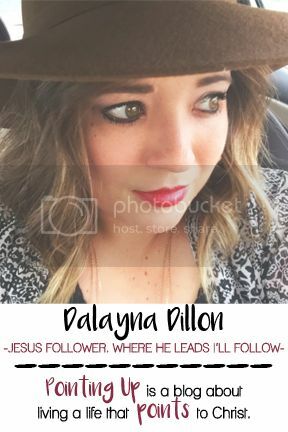 Thanks for co-hosting Dalayna! Hope you have a wonderful weekend. Already follow your awesomeness via GFC :) Saying hello from the hop! Thanks for co-hosting again :) Hope you had fun this week.